Twitter says that it has received more information requests from the government in the first half of 2012 than it did in all of 2011. That’s just one piece of data offered in today’s first ever Twitter Transparency Report. The report is an effort by Twitter to fully expose how many requests it gets by the government for users information, requests by governments to block content from Twitter and the DMCA takedown notices it gets from copyright holders concerned with content shared on Twitter. Twitter compares the report to the one already published by Google. Google, in turn, offered Twitter ‘props’ for its new efforts in transparency. 75%: Twitter complied with the highest number of requests for user information in the United States, with some 948 user accounts detailed in 679 requests, 75% of which it complied with. 98: The second highest amount of requests after the U.S. was Japan, with 98. Interestingly, Twitter complied with only 20% of those requests, which involved some 147 user accounts. 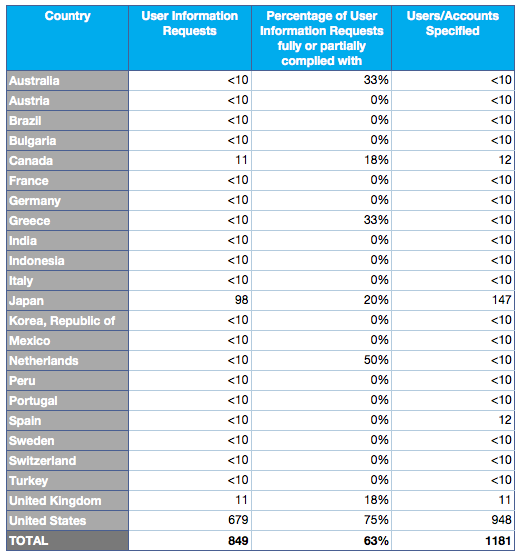 50%: The second highest compliance rate was in the Netherlands, with 50% of the less than 10 requests being honored. Those requests, however, involved less than 10 user accounts. 16: The number of countries in which Twitter received information requests but complied with none. If you take a look at the takedown notices by month, there are also some interesting highs and lows. May was the highest number of notices filed with Twitter, but its lowest overall complied with. There appears to have been a jump between February and March in the number of Tweets and bits of media removed. The fact that the number of tweets is significantly larger than the media indicates that there were likely a lot of retweets or repost of the same media that were removed. When you compare it to Google’s reports above, Twitter’s overall request records look minuscule. Google had some 2,046,645 requests for removal of URLs from copyright holders in the past month alone. The number of removals of information due to court order or governments is remarkably low in comparison to the amount of copyright takedowns honored. Twitter already posts DMCA takedown notices and content withholding requests to the watchdog site Chilling Effects. 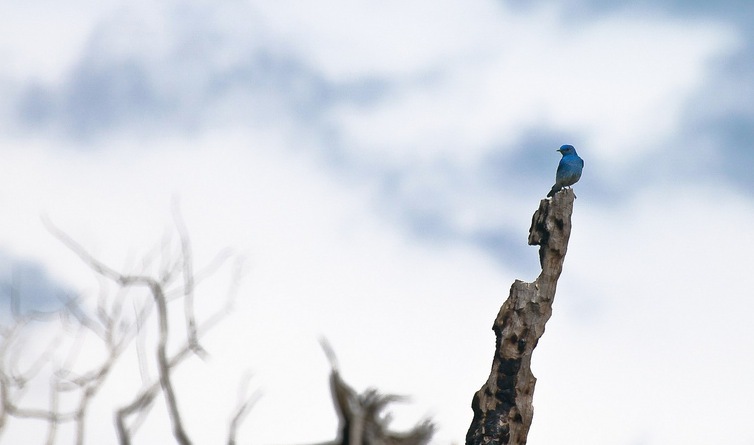 This report is a welcome step forward for Twitter in transparency. We would love to see all major offerers of online services, like Facebook and Microsoft, follow suit.